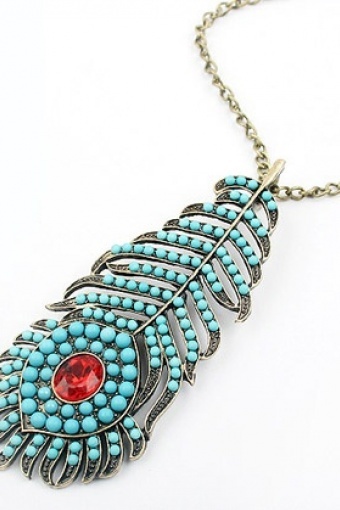 Superstylish long Turquoise Peacock Feather bronze necklace by FROM PARIS WITH LOVE! 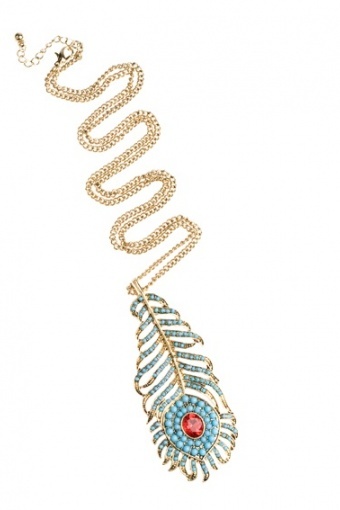 Stylized peacock feather pendant with turquoise beads and a red rhinestone in the center with a lobster closure. Material: antique look gold coloured metal (nickelfree).